If to look for an average senior Node JS developer salary in Europe, we will discover that such experts are highly appreciated in the UK and their wage can reach $7,700 as an average. While net junior Node JS developer salary may start from $3,800. 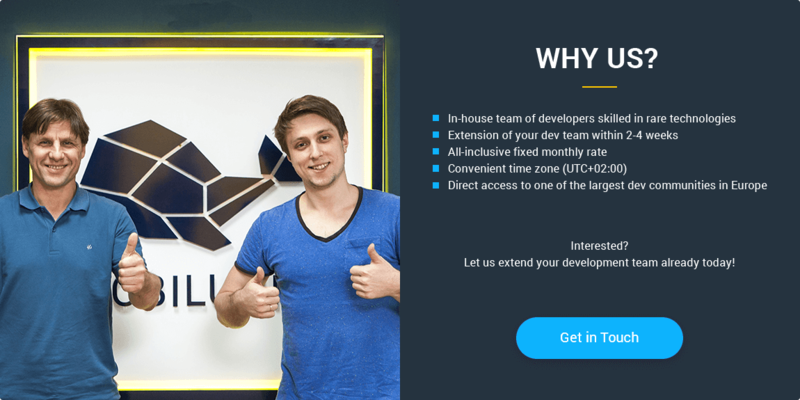 However, Ukraine is one of the most profitable locations to hire developers from if you are looking for the most affordable ways of extending your development team. The table above presents the results on an average salary of Node.js programmers in some American cities. This graph depicts a comparison of average Node JS developer salary in American and Canadian cities. You can see that the US salaries are higher regardless of the city. 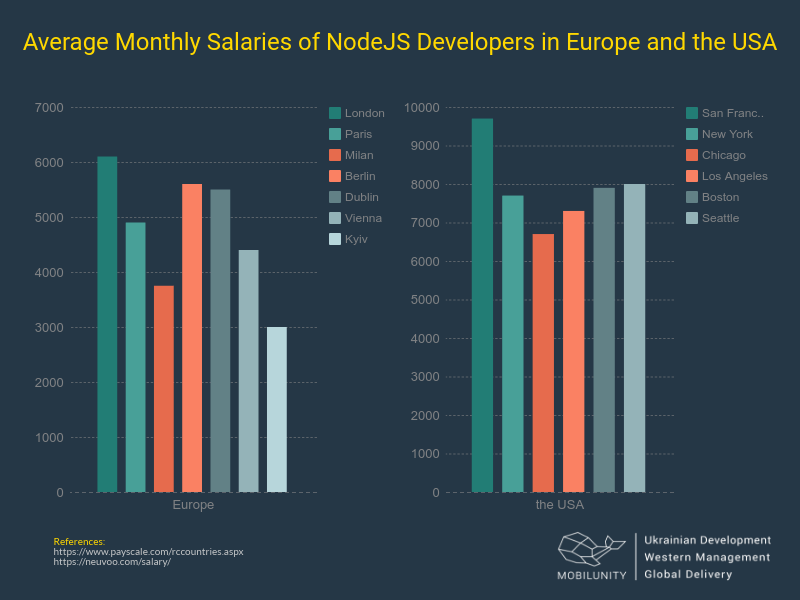 Comparing Node JS developer salary NYC vs UK vs Canada, we can see that Canadian and UK rates are almost equal, while the US ones are much higher. 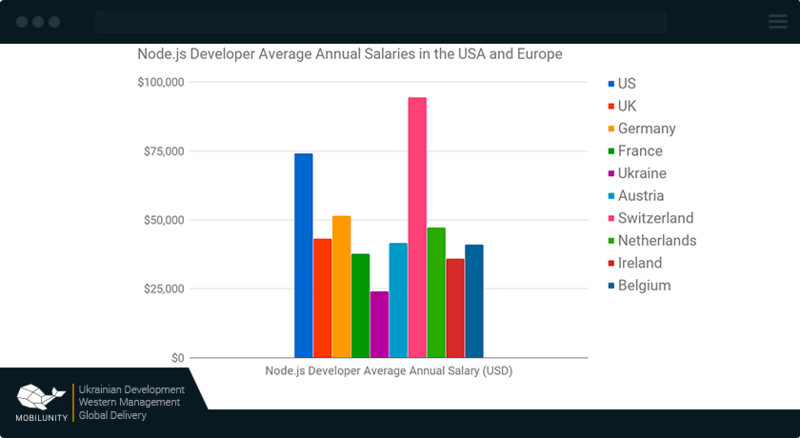 Finally, we decided to compare Node.js developer salary in the USA, Europe, and Canada in order to discover what technologies are among the highest-paid. Almost the same situation is in Canada, but here the greatest payment can be offered to Node.js developer in Montréal, QC. If to look on the table with the statistics from Europe, we will see that indicators of wages are significantly decreased. the highest-paid specialist is a Meteor.js developer in London, however, it is much more profitable to hire him in Kyiv. Having learned all about Node.js and its benefits, the typical Node JS developer salary in different countries, the different ways you can find your perfect developer, and the typical Node developer skill set, you’re now all set to hire one. Hiring from a dedicated teams provider like Mobilunity would be the best choice you can make. Located in the heart of Ukraine, we offer exceptional developers at exceptionally affordable rates. Being at the heart of Europe, we are only at most an hour or two away from most European countries, so you won’t have to worry about time zone differences. 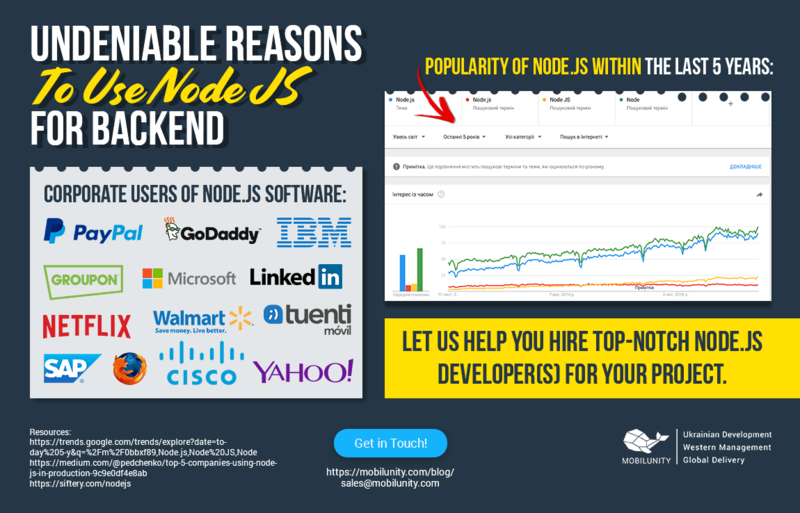 Contact us now to get more on Node developer salary at Mobilunity!